With SAP Service Marketplace companies can buy mobile templates and extensions to enhance the look and functionality of their custom apps. 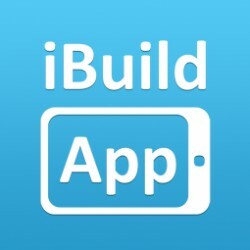 SAP Marketplace adds to iBuildApp’s existing app building platform which requires no coding skills to build a free iPhone or Android app. The SAP Service Marketplace contains a variety of target group specific internet portals. The SAP Marketplace allows graphic designers to resell mobile templates and businesses to find designs to use to build an app. The addition means there are now hundreds of design elements available on iBuildApp’s platform, which previously focused on the code aspect of the apps. The new release was driven by customer demand. Customers asked for the ability to share or buy designs. “Our customers were always asking for their own templates, custom splash screens, icons, and buttons. Now they can upload the designs on their own and even resell them,” said Rafael Soultanov, founder and CEO of iBuildApp. The templates are built with iBuildApp specifications and can be installed in an app with just a click of the mouse. “We made it so you can buy a mobile template from our community and know that it’s compatible and trusted. Marketplace features designs created and sold by designers around the world,” said Soultanov. Previously iBuildApp added GPS and mobile coupon features to the app building service. The site’s most popular apps, with ratings and comments from the community, are showcased on the homepage. more to come in this month (marketplace for mobile components + reseller solution for consultants). keep going! Michelle, driving Audio or BMW is also very tricky if you never have driven a car before.